Two years ago we had a post about crowd-funding an app to help prevent young Indigenous Australians from suiciding. It is great to hear that the Kurdiji 1.0 Aboriginal resilience building app is now available as a free download from the Play Store (Android devices only at this stage; version for Apple devices being considered). With the help of crowd funding, the Warlpiri elders from Lajamanu have offered this app as a gift to anyone who is struggling. You do not have to be Aboriginal to benefit from the strengthening and validating ideas in Kurdiji 1.0; the elders have designed this app to speak to everyone. All the content of this app comes from the world’s oldest living culture. 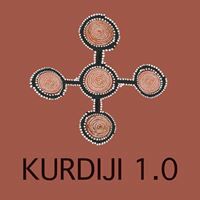 Kurdiji 1.0 is offered free to anyone who needs it, and it will always remain free. Congratulations to the elders, to Judith Nangala Crispin, and to all involved. Update 8 April 2019: see also this app from Lifeline.